Enjoying the Great Gatsby party at Blackbird Interior and Design with owner Melissa Morehead. 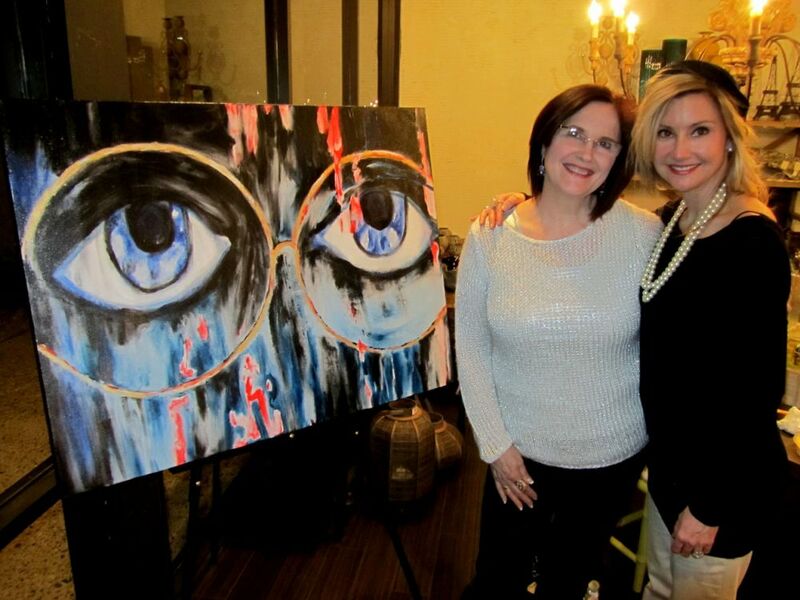 The painting is titled 'Watching' and was inspired by the Great Gatsby movie and the all knowing, watching, judging eyes of Dr. T.J. Eckleberg.... I hope you Gatsby fans enjoy this one. If you live in Midland and have not been to Blackbird Interior Design and Furniture on Wadley you are missing out!! Here is a fresh new approach to interior design in Midland. 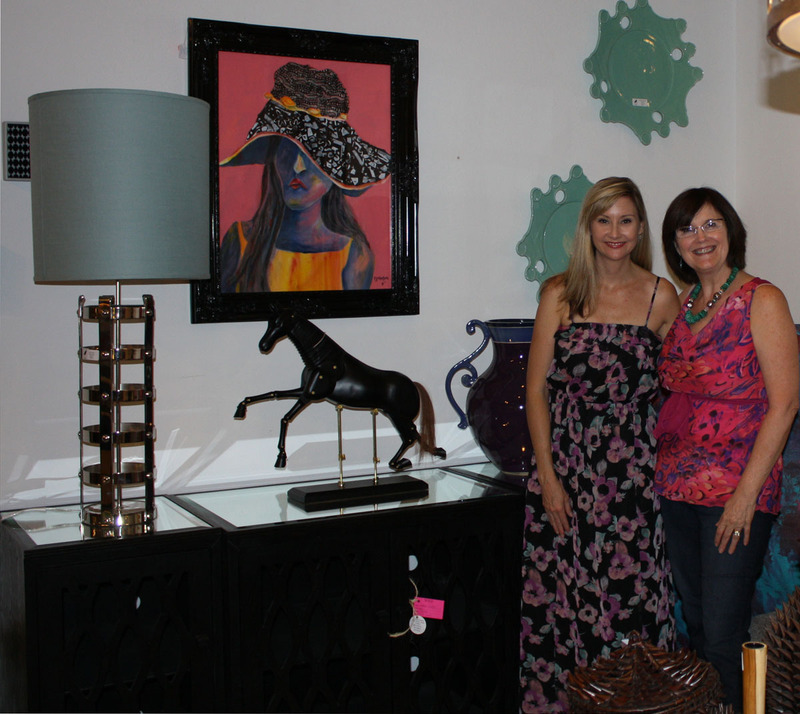 Say hello to Melissa Moorehead the one of the creative owner's of this store. 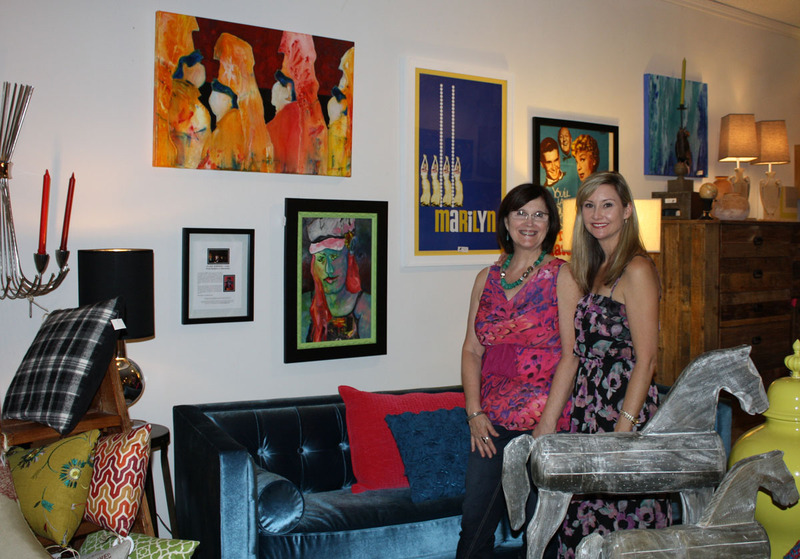 Be sure to ask about their design center .... and enjoy some of my artwork that is currently hanging their. I am so honored to be a featured artist tomorrow night at Blackbird Interior Design in Midland Texas (near Harvest Cafe). This is fresh and exciting furniture and design store that has an exciting point of view!! Thursday evening, July 26th from 5-7pm your are invited to have drinks and refreshments and get a preview of the items that will be on sale this weekend as well as talk with me about my artwork. It will be a fun way to spend the evening. I hope everyone will stop in and bring a friend. Here is a link you might like to check out. http://www.facebook.com/pages/Blackbird-Interior-Design-Furniture-and-Accessories-LLC/322208404474236. 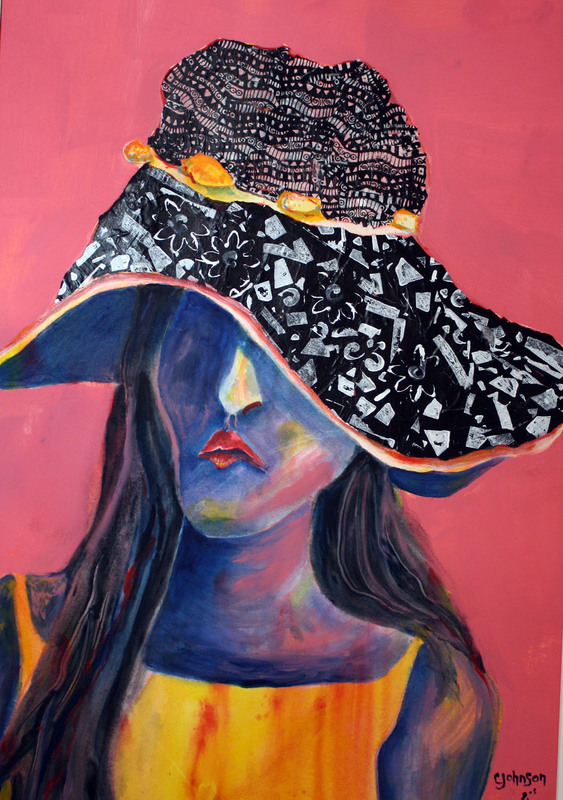 I plan to show several of my original works and I have been asked to take commissions and reserve deposits on paintings that I will be doing for the 'Women in Hats' series!! !